This exciting gathering took place at the Hotel Las Américas Golden Tower Panamá in Panama City on Saturday April 7th, 2018 from 6-12pm. 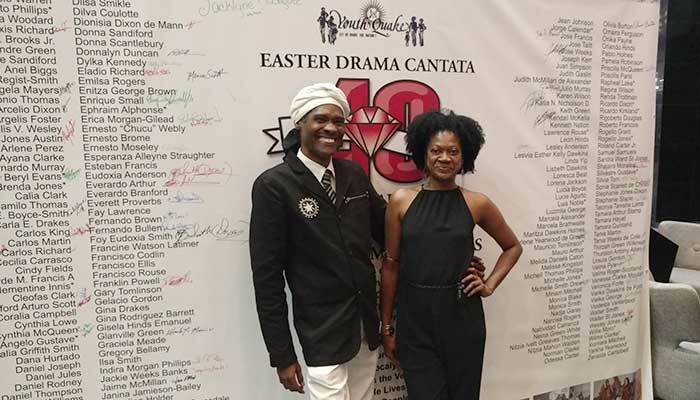 We are invited all actors, cast members, singers , dancers, staff, friends and family members of those who participated in the Annual Easter Drama Cantata from 1978-1989 in Panama. 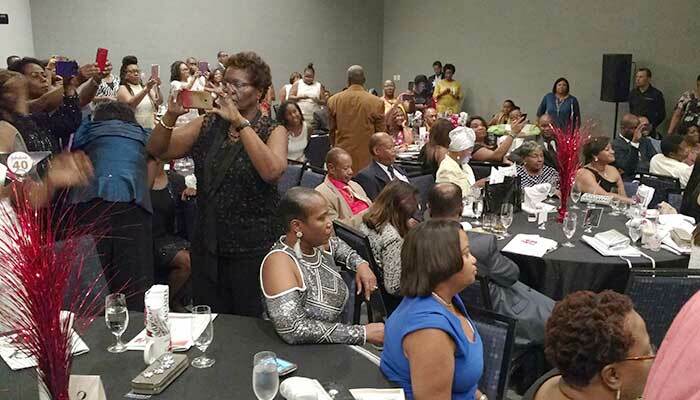 This gala dinner event reunion remembered, honored and thanked the 204 cast members who participated annually in these theatrical events and the Methodist, Anglican, Baptist, Catholic churches who supported these ecumenical activities. 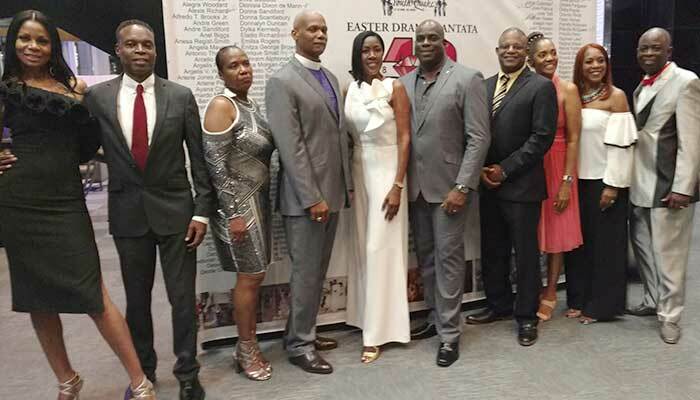 Above are the members of the 40th Anniversary organizing committee in front of the 204 member cast banner. From left to right Sandra Ward, Walter St Jones, Jackie Week Banks, Rev. Julio Murray, Priscilla McQueen, Daniel Joseph, Everardo Arthur, Silvia Tom, Dalia Griffith Smith and Carlos Richard. 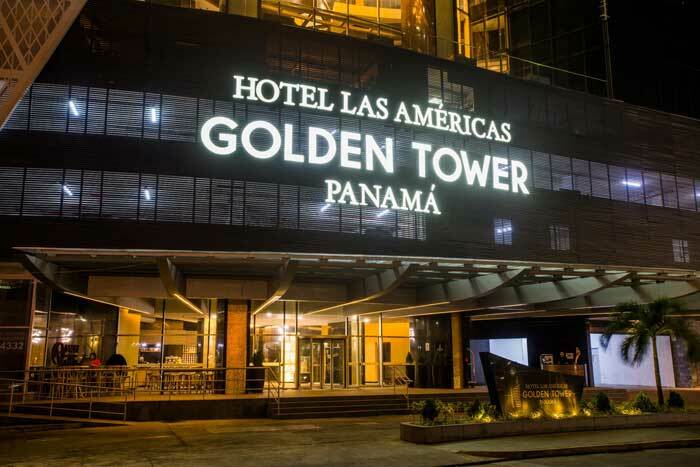 The Hotel Las Americas Golden Tower in Panama city where the sold out event was held on Saturday April 7th, 2018. Costume exhibit prepared by Sivia Tom featuring actual costumes from each of the 12 Drama Cantatas. 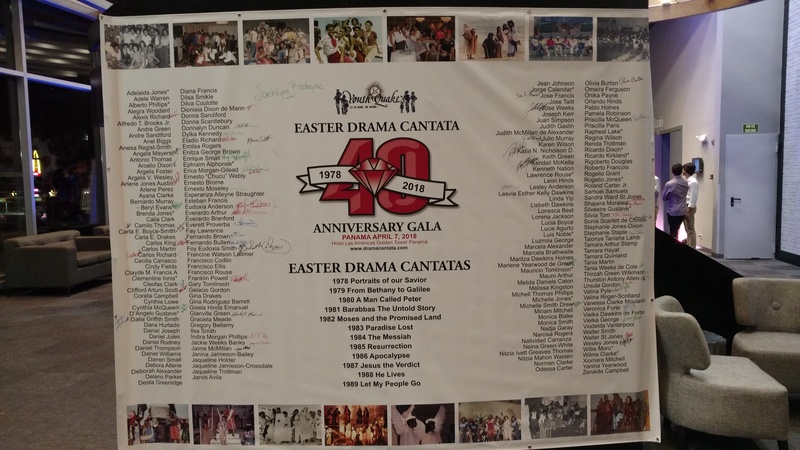 204 cast member banner signed by 60 of the cast members who attended the Gala dinner- It will be saved for the 45th anniversary in 2023. 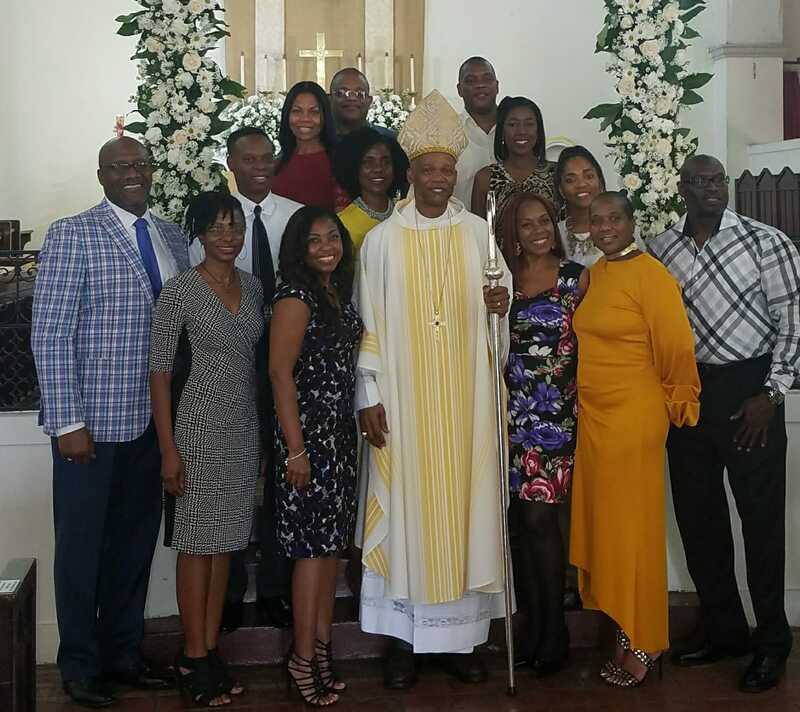 Sunday mass at the Episcopal Cathedral with the Drama Cantata cast members.